Here at Conferences Group we work with many kinds of clients, from charities and church groups to multinational organisations. And what is true of the big clients is always true of the smallest too: we are most successful when we can get a clear picture of your organisation and your ideas about the type of event you want. In a way we're like a dating agency: we want to find you the perfect partner. So we need to understand you and your organisation. This means you really can't give us too much information about the kind of venue you need. One question we always ask - but we don't always get an answer - is about your budget, and it's not a trick question - honestly! We're not asking how much money can we squeeze out of you. It's a waste of everyone's time, for example, if we propose a selection of seemingly perfect venues that fulfil every one of your wants... but are all way out of your price range. Like I say, the more we know, the better the selection you'll have. Whatever kind of venue you are looking for, one thing you can be sure of is that we always negotiate the best possible rate on your behalf. For us It's about getting the best deal for the money you have, and the truth is the better the job we do for you, the more likely you are to come back to us next time. For us, business is about long-term customer satisfaction and repeat business. So if you're planning a conference in 2015 here are a few tips to help you get organised. Make a wish list: - What kind of venue do you want - one to reflect your company's image? One that appeals to the target audience? Do you want quirky, sophisticated, modern or traditional? - Location: do you need to be in the city centre or countryside? How will delegates arrive - by car or public transport? - Facilities: do you have special needs such as disabled access, or room for large vehicles to unload equipment? Do you need outdoor space.? Do you plan any team-building activities? 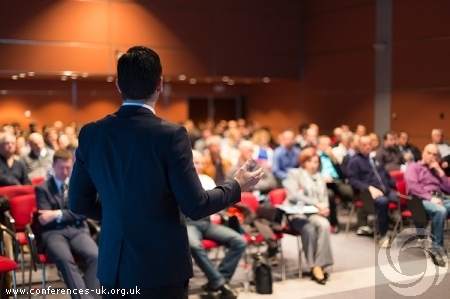 - What are the most important priorities that will make your conference a success? - Be realistic about your budget. In a major city centre or sophisticated country hotel you aren't going to get bargain-basement rates... At the end of the day, you want to get the most out of your conference, meeting, or event, and the venue you choose has to add to, rather than detract from, the experience of those attending. So take the time, think carefully and give us as much information as possible. That way we'll be more likely to find you that perfect venue - and at a reasonable price.